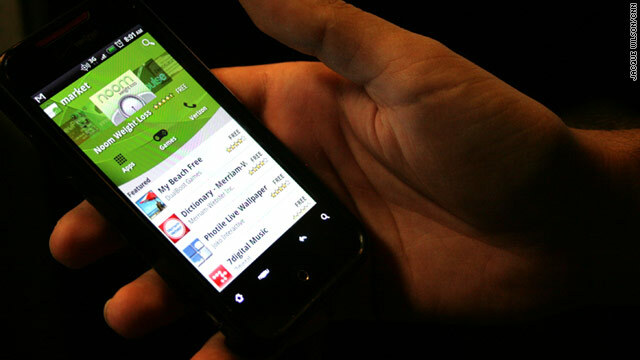 Most of these smartphone apps are available on the iPhone and in the Android Marketplace. (CNN) -- Technology can make your life easier, but figuring out which tech tools to trust can be tiresome at the least and eye-poppingly stressful at worst. To help, here's a list of 50 recently released or updated websites and apps that will make your mobile photos look better, improve your online social life and boost your productivity. This list is by no means all-inclusive, so feel free to tell us about your favorite tech tools in the comments section or on Twitter. We're @cnntech. Google Plus (free): It's too soon to tell whether Google's latest social network is social media's new king of the hill. However, one thing's for sure: The initial user reviews are very positive, and the strong bundling of social innovations make Google Plus -- often described as "Google's Facebook" -- worth the test drive. Google Plus Nickname (free): Now that you've jumped in the Plus-pool, time to head over to Gplus.to for your own personalized URL. Facebook-Skype (free): Made official last week at Mark Zuckerberg's recent announcement at Facebook headquarters, the service isn't yet available for all users. Users take advantage of the video-calling feature via Facebook without having to install any software. Some are criticizing the service for falling short of the Google+ hangout feature, where users can join group video calls up to 10 people. Facebook's video chat is only one-on-one. Tout (free): Virtually no one had heard of this micro-video service until Shaquille O'Neal used it to recently announce his retirement from pro basketball. After garnering more half a million views in three hours, Tout had arrived with a splash, thanks to the larger-than-life hoops superstar. Capture 15-second videos and instantly share with family and friends. Downside: A Flash player is required to watch videos (sorry, iPad users). Capture (99 cents): If you have kids and love recording those "first-moments," this app is probably worth considering. Once you install Capture, tap the app, and it starts recording video immediately. Once you're done, the video goes straight to your camera roll. No more missing moments by a split second. Broadcastr (free): You bring the audio and plot the journey. Broadcastr weaves the story. This new social media platform enables the recording, organizing, listening and sharing of audio content on a map-based interface. Also works as great discovery tool for exploring personal and historical stories in new places. Available for iPhone and Android. Turntable.fm (free): The service combines music-streaming, chat rooms and voting, all through a Facebook portal. Friends either vote up (awesome) your tunes or they go the other direction (lame). Whether or not you're a big music fan, this product is very hip and very addictive. Spotify (free/paid): After years of drooling with envy, music fans on the U.S. side of the pond now get a chance to stream with Spotify. The extremely popular music service in Europe finally soft-launched last week in the U.S. For the first time, major record companies in the U.S. have embraced an online music service that lets people play the songs of their choice for free. Instagr.am (free): The good times just keep on rolling for the social photo sharing service -- after all, how many Web companies can boast more millions of users than individual employees? Five-plus million users and growing for the service, which remains available only for Apple iPhone. Instagram has done for bad cell phone pics what GPS navigation did for confused motorists. If imitation is the greatest form of flattery, the spinoffs and third-party apps are lining up. Followgram.me (free): This Web app helps offset one of Instagram's primary limitations: no official website for users to log in, view and readily share photos. Followgram creates an Instagram follow button to be embedded on websites and blogs. Followgram also provides its users with a vanity URL, his/her photo gallery, friends, followers and following lists. Moreover, a Followgram user's page is fully customizable. Webstagram (free): Another simple, aesthetically pleasing Web interface for viewing your Instagram photos as well as your Instagram peeps. Postagram (99 cents): Makes it easy to send Instagram, Facebook and mobile phone photos as real postcards from your iPhone, iPod touch or Android phone. Imagine that: Photos that you can actually hold in your hands! Keepsy ($29.99): Not able to view, print and share your Instagram portfolio? Not a problem with Keepsy: customize and order photo albums. Tumblr iPhone 2.0 (free): The upgrade offers valuable upgrades: There's a new interface, it's easier than ever to create posts, it's much easier to reply to messages, there's address book integration, and now new users can begin building inside the mobile app. Tumblr has begun distancing itself from other micro-blogging publishing sites and now has a mobile experience that matches its Web version. Klout (free): The days of measuring one's social media reach simply by number of followers, friends or connections is ancient history. Web tools like Klout are starting to measure the influence you have over your digital minions. Empire Ave (free): It bills itself as the Social Stock Market, where you can grow your social capital online. Here's how it works: You discover people online and then based on scores or share price invest virtual currency in their profiles by buying shares in the Social Stock Market. After a bit, you'll get used to the weirdness of having strangers bid "social shares" on your "social wares." Sounds kooky, but all the cool kids are doing it. Sonar (free): This app is kind of like a good party host: It introduces you to whoever else is in the room by leveraging what you have in common. Ease of use for navigating who's nearby and how to virtually connect with them makes this location-based app a must-have. Available for the iPhone. Bizzy (free): A Web and mobile service for personalized local business recommendations. Bizzy recently updated its iPhone and Android apps to introduce a "Check Out" feature. Users can now check out to leave short, emoticon-style reviews of venues on their way out the door. The Bizzy venue checkout is meant to be the opposite of the check-in, which we've seen in a slew of applications, from Foursquare to Facebook Places. Crowdbeacon (free): Craving the best sushi joint around, and prefer human interaction over indexed user reviews? Crowdbeacon can help. Crowdsourcing your social life, this is a location-based service focused on providing relevant, localized communication and information to users based on what they need and where they are. Apptitude (free): This is a bit stalkerish, but for those curious about the Facebook apps your friends are using (and when they're using them), check out this iPhone app. Then feel free to razz your friends over how much time they're really spending on Farmville! Shortmail (free): The Twitter effect. This app doesn't limit your emails to famous 140 characters. Instead, it forces brevity and concise thoughts via 500 characters. Let's face it, who isn't drowning in e-mail overload these days? It's unclear whether Shortmail will catch on ... but we can all dream, right? Visualize.me (free): Standard formatted resumes just aren't cool anymore. You know what's cool? Infographic resumes. This site provides a creative way of getting your foot in the door at the workplace you so covet. Visualize.me is set to launch later this month to beta invitees, then the public in August. Gabacus (paid): Navigating the massive Twitter firehouse is nearly impossible without a little help. Gabacus makes sense of the millions of tweets per day by summarizing and curating the topics you're interested in. Regator (free/paid): Another tool that helps you easily find, read and share high-quality blog posts about things that interest you. It is available on the Web and iPhone. Rather than automatically fetching every blog under the sun, Regator uses qualified human editors to carefully select the most relevant, useful, well-written blogs across 500-plus topics. Getaround (fees): Isn't it time you took advantage of your ride as it sits in the driveway or parking lot? This mobile app (currently only available in select cities) turns you into Enterprise Rental or Hertz by letting you loan out your car when it's not in use. Renters access your vehicle via an iPhone app after terms are agreed upon. Do@ (free): Do@ doesn't index pages. Instead, it shows live sites or apps that have been optimized for mobile presentation. It's similar to Google's preview functionality for mobile, but all the pages on do@ are live and not cached. NASA (free): The NASA app for iPhone and iPad has been around for a couple years, but the Android version just hit the Marketplace. It offers a huge collection of NASA content, including images, videos on demand, NASA TV, mission info and social media extensions. Definitely worth a look for all space nuts! Twylah (free): Showcase your tweets in a more complete narrative story. Super-easy to use and a much better storefront for your Twitter brand than the somewhat wonky Twitter stream. SkinScan ($4.99): This app helps you analyze and keep an archive of moles on you or members of your family, for later review and comparison of the results. SkinScan displays several disclaimers that the app is to be used for strictly informational purposes, but it's nonetheless pretty interesting to see how personal tech is impacting everyday health concerns. Formulists (free): By far the easiest way to create and manage Twitter Lists. This application lets you organize Twitter into smart, auto-updating Twitter lists: filter based on location/bio keywords, Twitter activity and more. FreeTime (free): Wondering where your day went? FreeTime can help. Using nothing more than the calendar on your smartphone, this productivity app finds time between your events. Powerful filtering allows you to locate your free time in any setting. Redbox (free): More and more movie watchers are turning to services like Redbox. This simple mobile app helps narrow down where the nearest rental kiosk is located via GPS, find out whether they have your desired flick in stock and if you chose to register, can even reserve the DVD. Don't forget the buttered popcorn. Appstart (free): Seconds after you've removed your shiny new iPad from the box, this is without a doubt the first app you should download. It's a great starter assistant for finding relevant applications based on your tastes. Evernote (free/paid): One of the most acclaimed productivity apps around. Evernote boasts a suite of software and services designed for note taking and archiving. A "note" can be a piece of formattable text, a full Web page or an excerpt, a photograph, a voice memo or a handwritten "ink" note. Notes can also have file attachments. Evernote Peek (free): Flash cards for the digital generation! Peek is the first Smart Cover learning app. Connect Peek to your Evernote account and brush up on a language, make flashcards for a quiz or test yourself based on your Evernote contents. Photos 3D for FB (free): It's a 3-D photo viewer for Facebook. In this app you can easily browse, comment, share photos and so on. You've never viewed photos like this. FavFriends (free): Who doesn't need help breaking through the Facebook friend clutter? This service provides real-time notifications when a favorite Facebook friend posts a new status. Also you can sleep better knowing you'll never miss a friend who checked in somewhere when you were nearby at the same time. Katango (free): Personal crowd control! This messaging app for the iPhone automatically groups together your contacts by life stage or activity. So groupings will include family members, high school friends, college buddies, co-workers and so forth. The application plucks out your address book contacts and Facebook friends and organizes these folks into groups based on patterns of previous social interactions. You can then tweak the groups to your liking and start sending photos or messages to particular groups. Peel (free): This app is a handy little guide to point TV fanatics in the right direction for what's on the air. New hardware upgrades offer universal remote control option for all of your television/audio home equipment ($99). Twicsy (free): View top Twitter picture trends and popular pictures. This app is functional and easy to use. It's beginning to stand out in the Twitter photo space. Pixable (free/paid): It's no secret that photos are by far the most-shared pieces of content of Facebook. To that end, it ain't easy keeping up with the piles of pics. This app for iPhone, iPad and Web pushes the most commented, tagged and shared pics to the top of your radar. True HDR ($1.99): Create full-resolution HDR (high dynamic range) pictures on your iPhone (4, 3GS), iPod Touch (4G) or iPad (2). iMotion HD (free/paid): An intuitive and easy to use time-lapse and stop-motion app for iOS devices. Take pictures, edit your movie and export HD 720p videos to your device or directly to YouTube. Piictu (free): Think of this app as a scavenger hunt with cell phone pics. A simple way to talk and play with your friends from your mobile phone using pictures. You simply snap a pic and post it to Piictu and your social networks, and watch it get live picture responses from your friends and community at large. Flixlab (free): Create professional style movies in seconds with Flixlab, a mobile application available for iPhone, coming soon to Android and Windows Phone 7. Also allow friends to keep the creative fun going with the option to "remix" your movies. Opinions expressed in this post are solely those of Victor Hernandez.